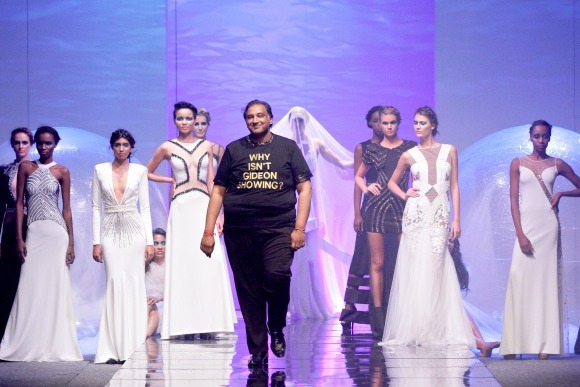 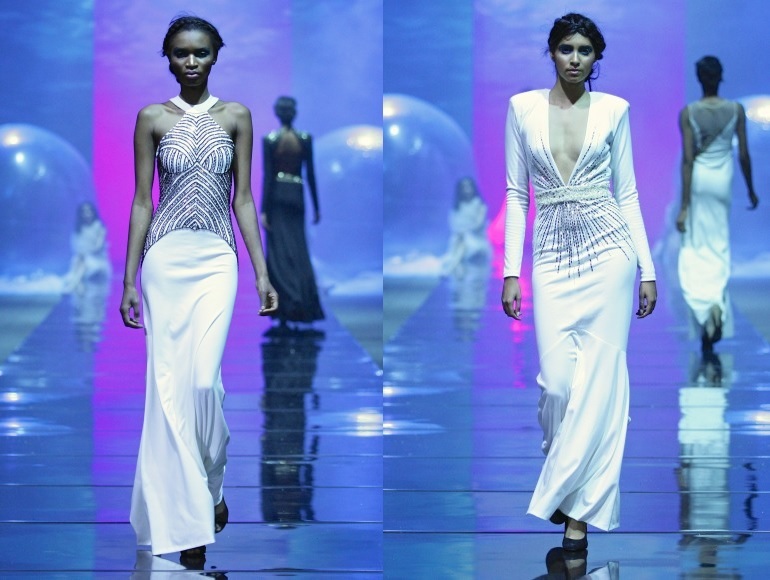 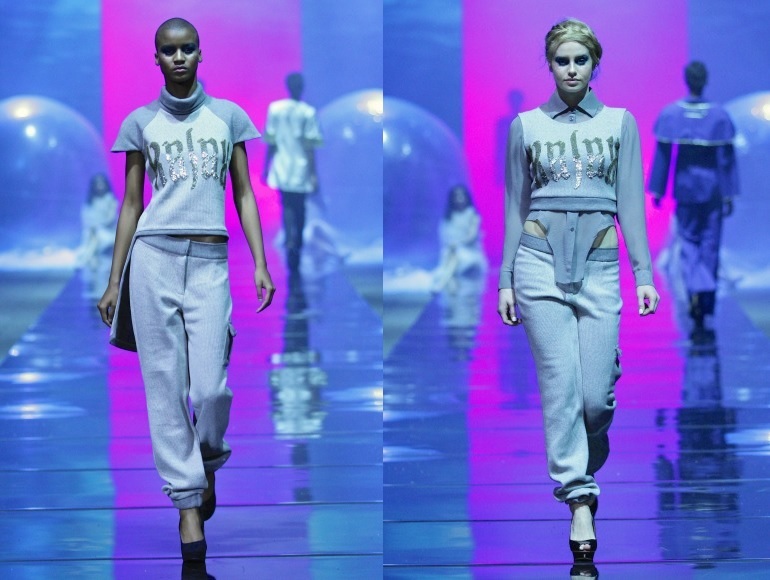 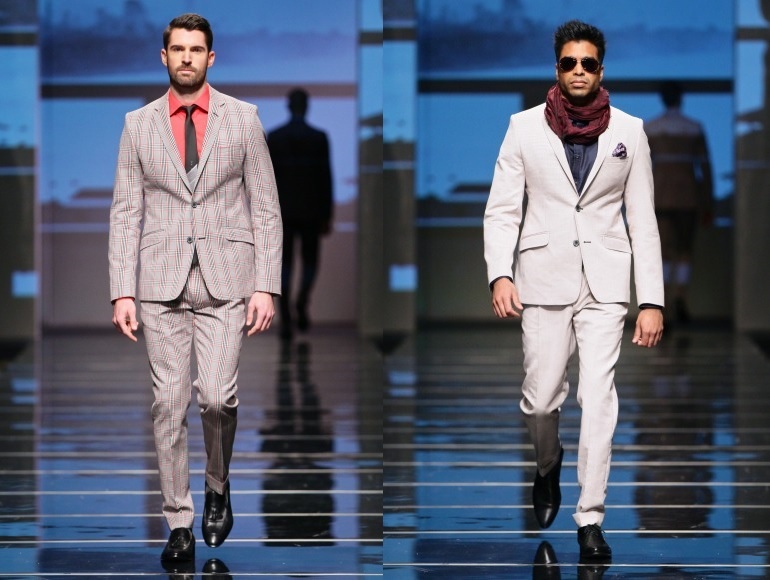 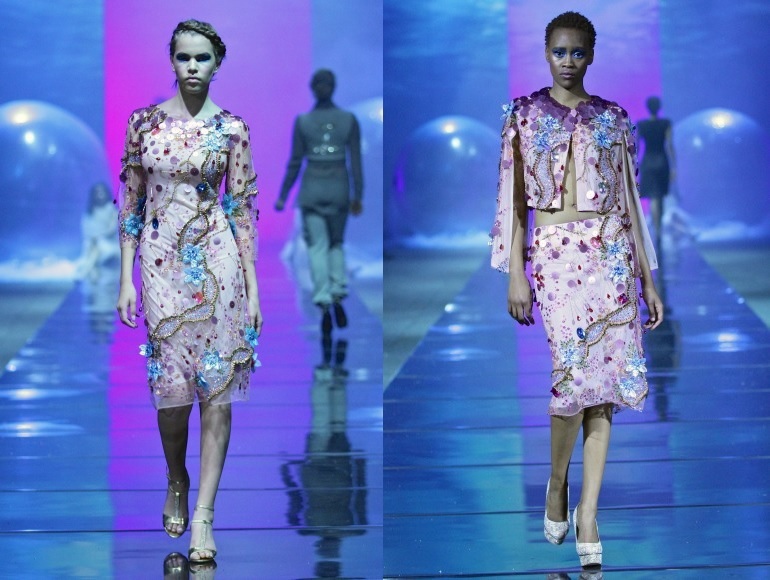 Gavin Rajah, presented a beautiful collection at the Durban Fashion Fair. The colour palette included black, white, off-white, blue and gold. 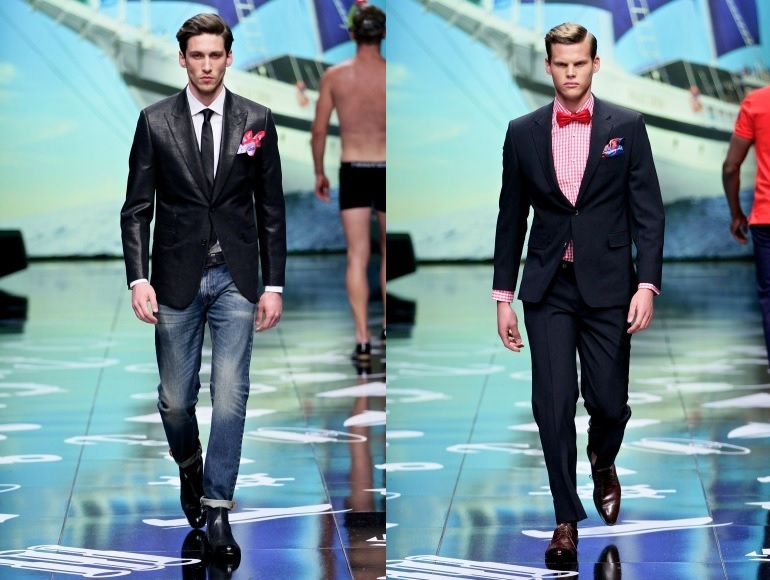 He paid attention to detail in both his formal and casual pieces. There was quite a few pieces that you can wear straight off the runway onto the streets. David Beckham created his own underwear line with H&M. In the latest campaign he models the latest David Beckham Bodywear Collection, where he wears maroon and white briefs (see the pictures below). 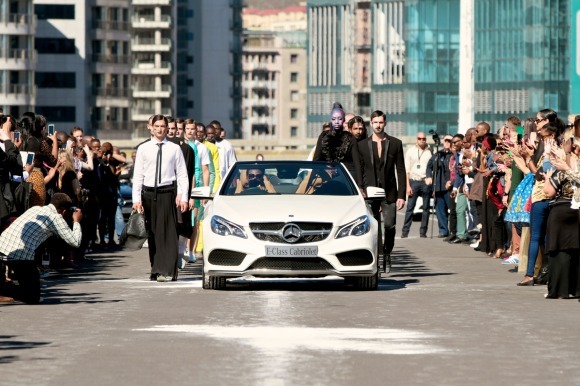 The full H&M campaign with more pictures will debut on 22 August 2013. H&M will be coming to South Africa in 2015 (they have signed a lease to open a store in Mall of Africa in Johannesburg). 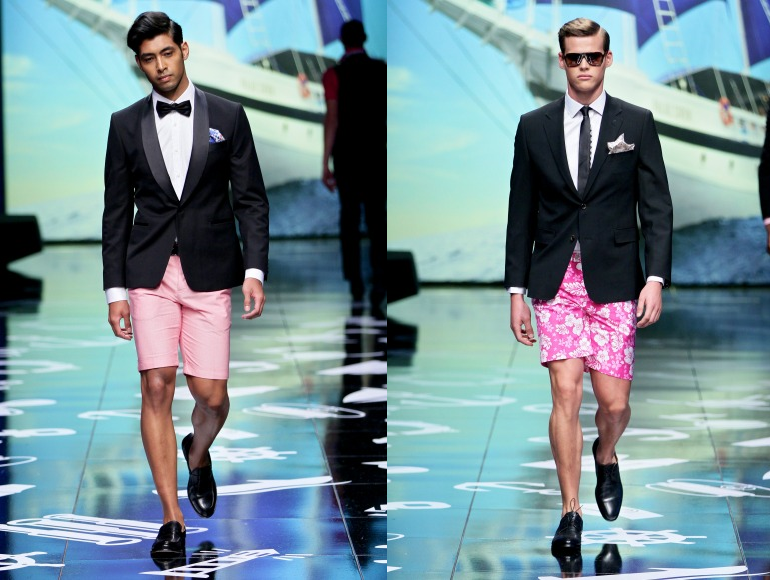 The pictures below are for the ladies to enjoy! 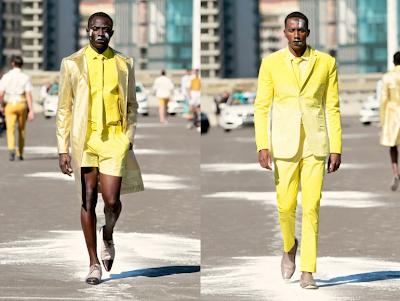 Ladies soon you will be able to buy the underwear for your man when H&M comes to South Africa. However if you are single gents, you can still buy it for yourself or ask others to buy for you as a gift. 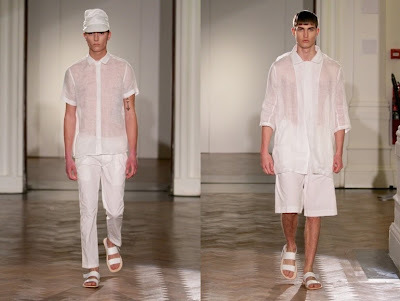 Could we guys be wearing this strappy footwear this spring/summer? 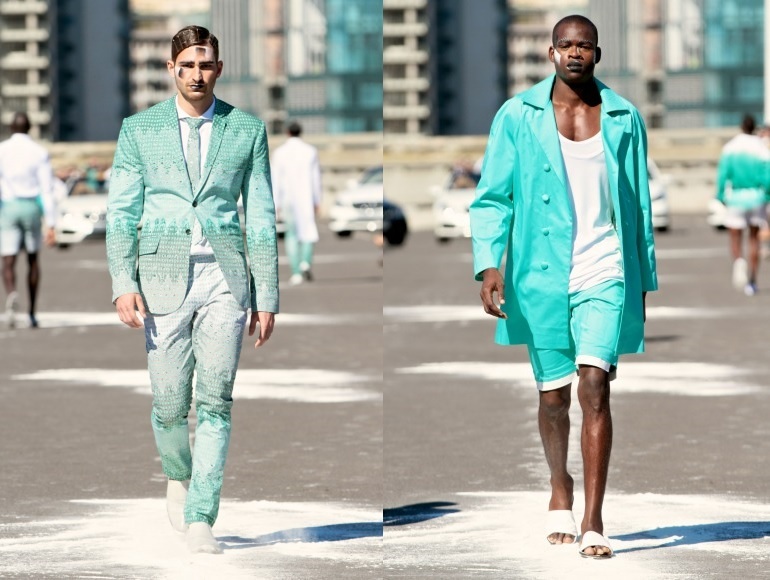 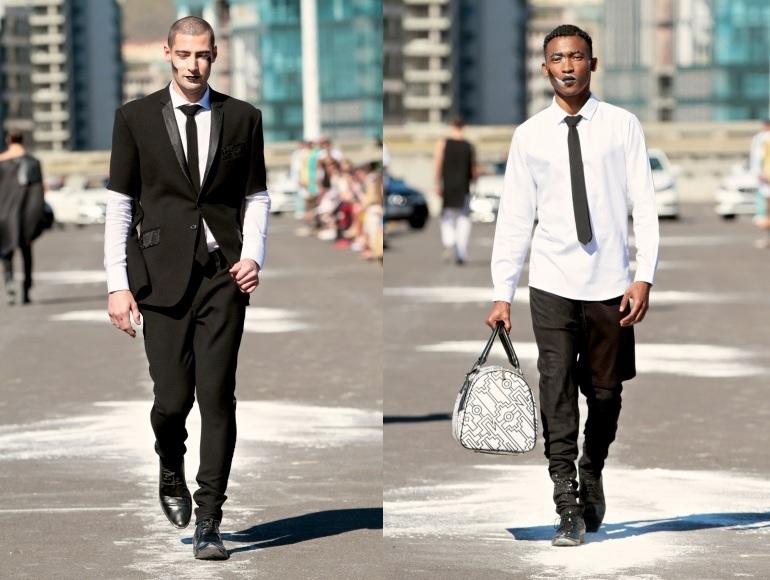 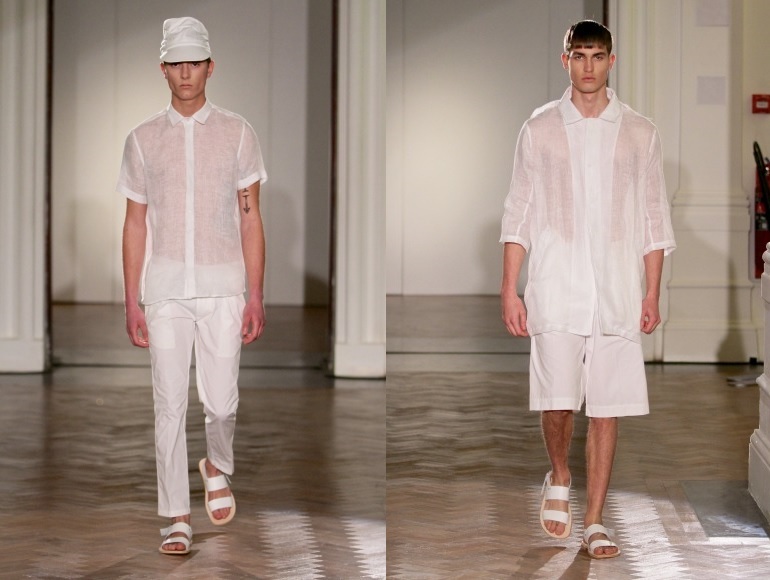 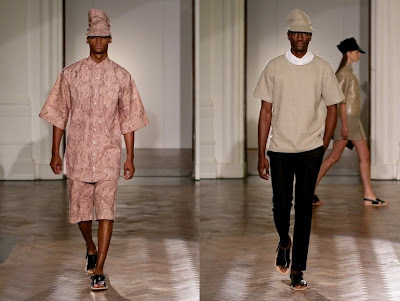 Adriaan Kuiters recently shown his spring/summer 2013/2014 collection during Mercedes-Benz Fashion Week Cape Town where the male models wore the mandal. 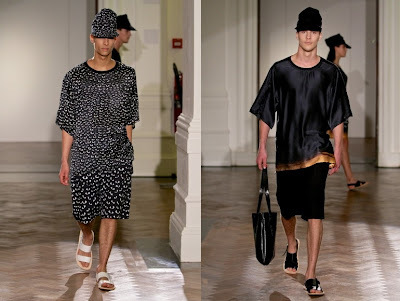 The mandal was a big trend this year during international fashion shows such as Versace and Dolce and Gabana during Milan Spring 2014 Menswear and also Givenchy and Hermès during Paris Spring 2014 Menswear. 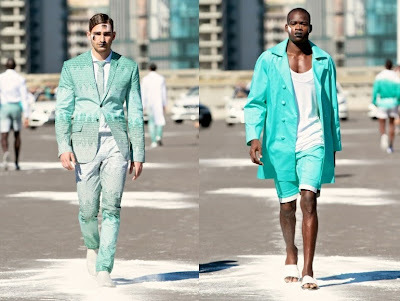 It would be interesting to see if the mandal would make its way from the runway onto the streets! 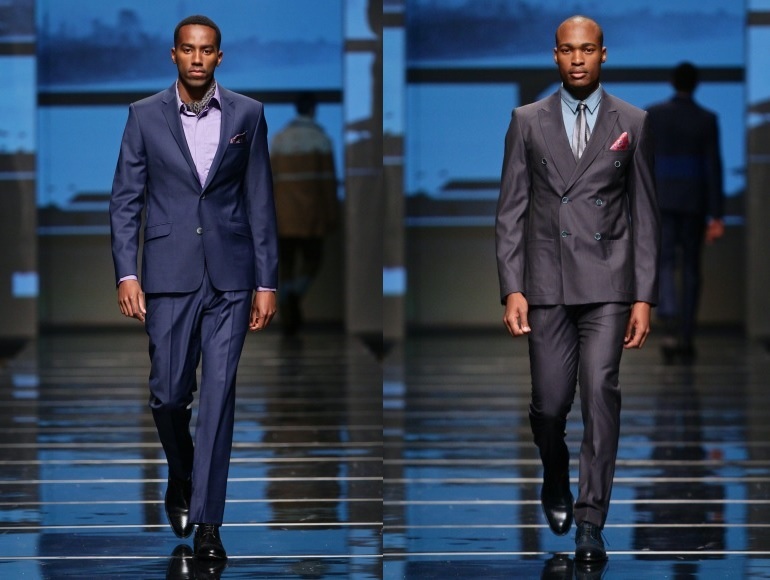 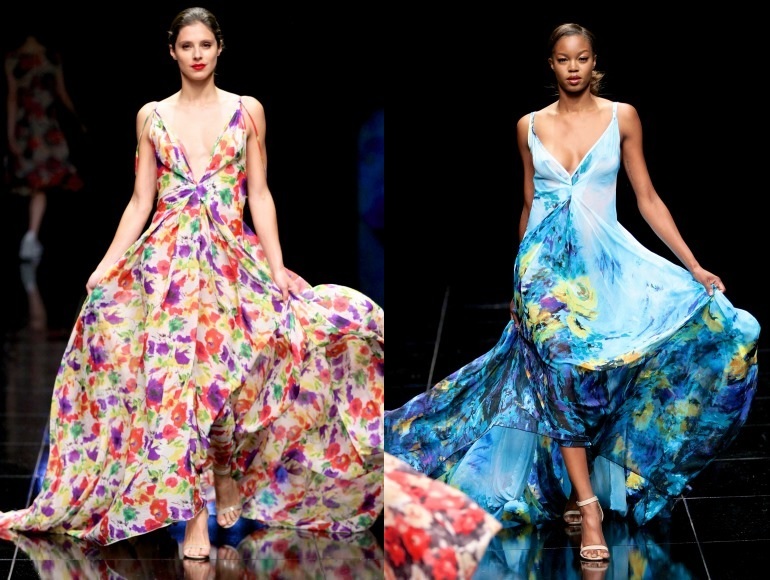 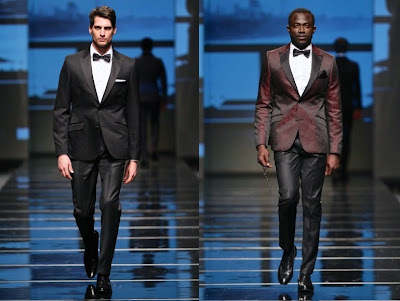 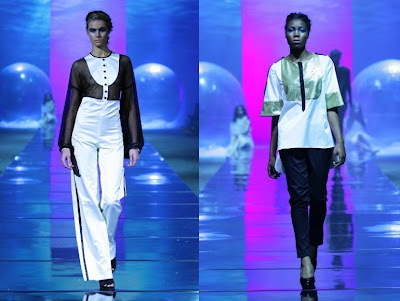 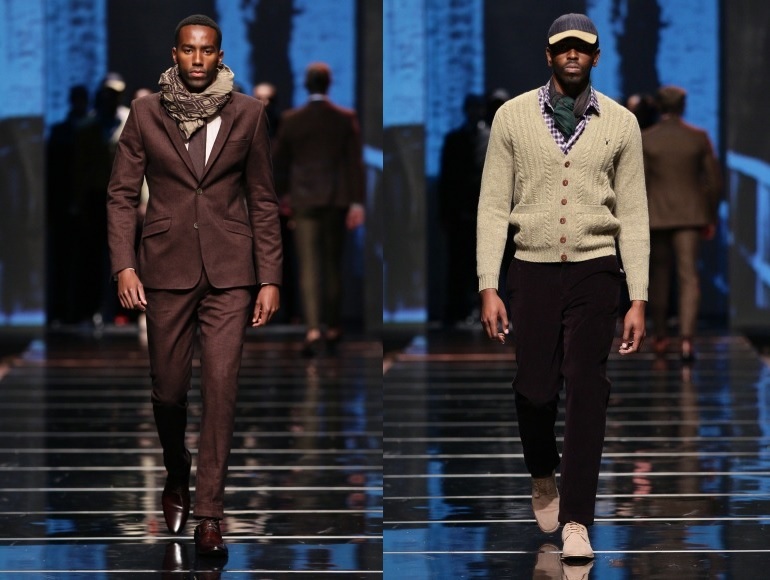 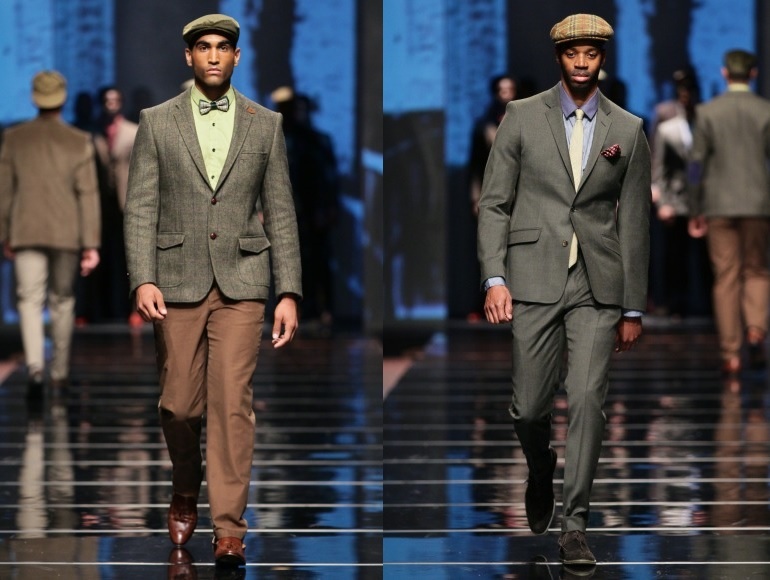 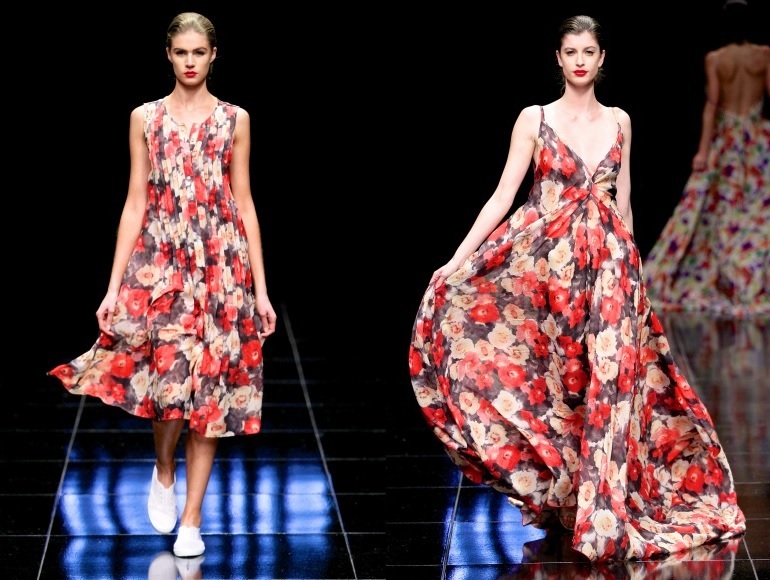 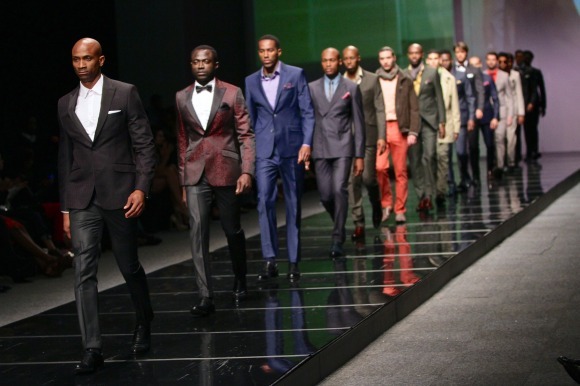 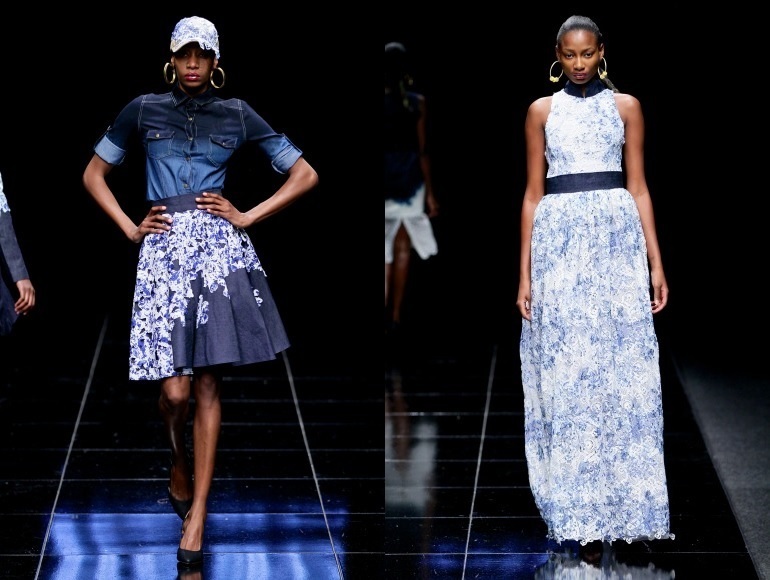 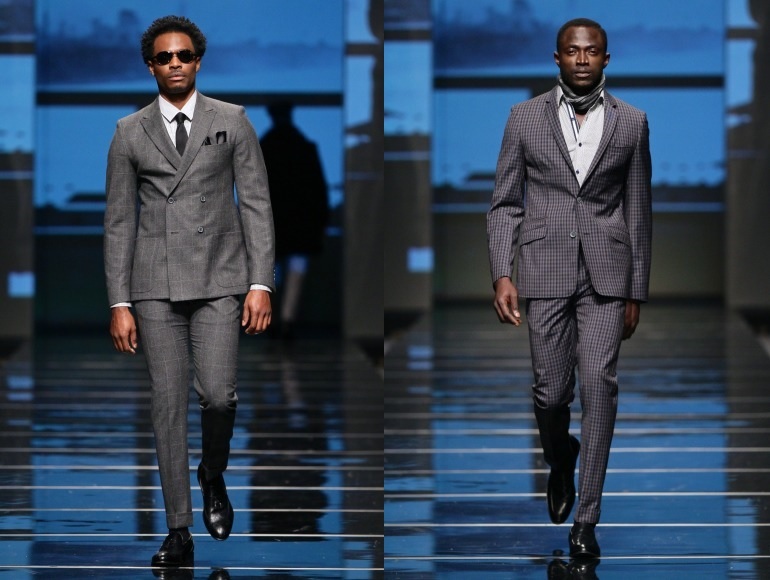 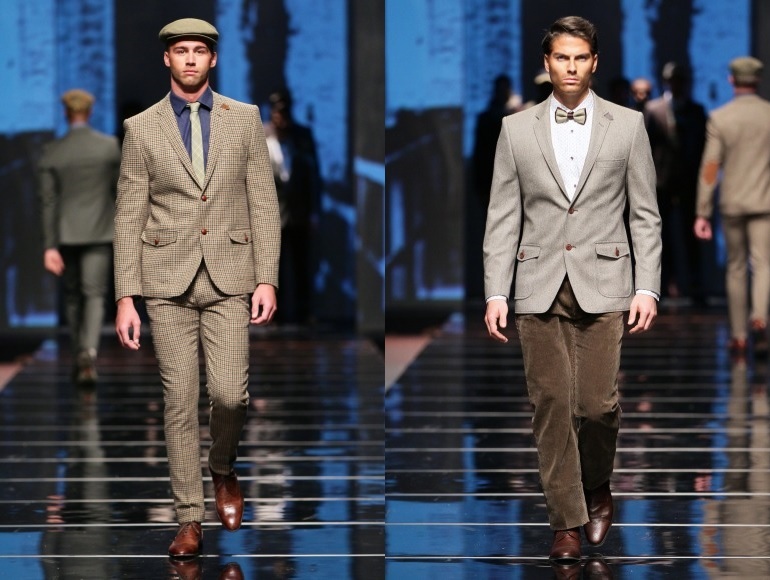 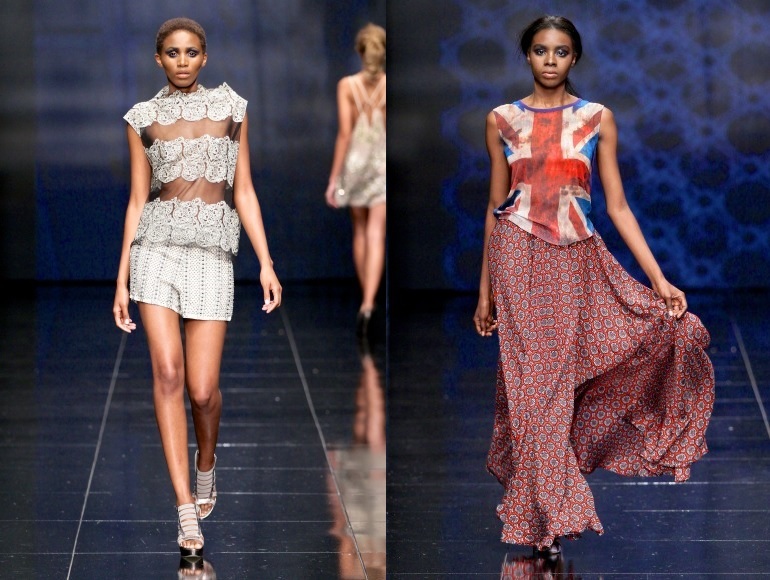 Fabiani had a prime time slot during MBFWCT 2013 and as expected produced a remarkable collection. This season they produced uniquely wearable pieces with a contemporary edge. 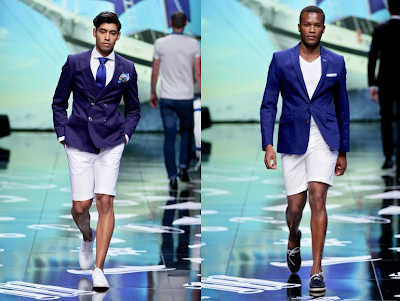 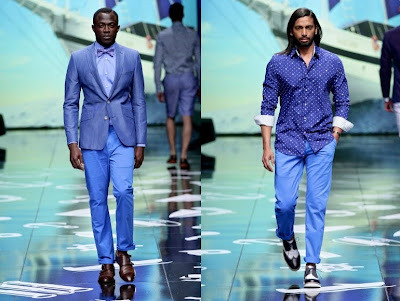 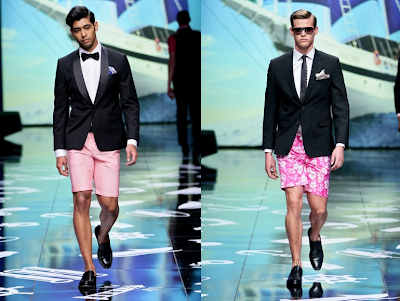 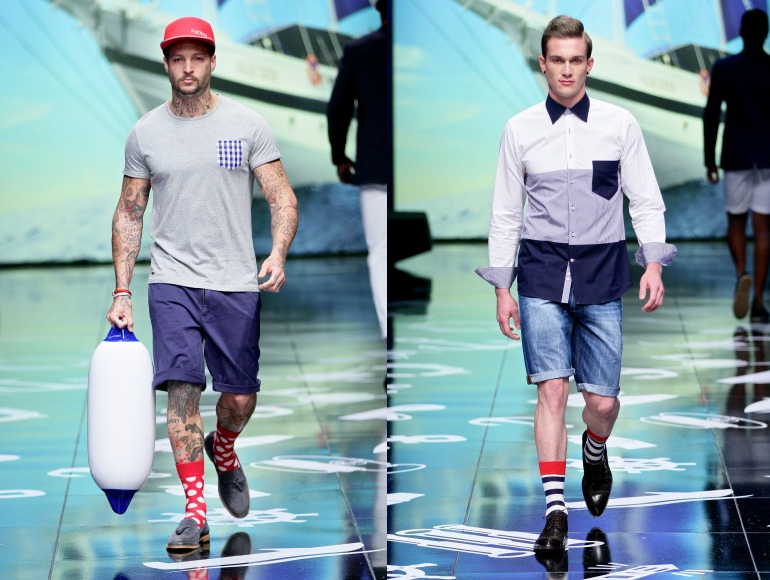 For their latest fashion presentation Fabiani transported us to the coast of Italy as ‘the Fabiani man steps off his yacht onto a sun bleached jetty’. The collection had a nautical theme where we saw nautical casualwear blend effortlessly with soft tailoring. 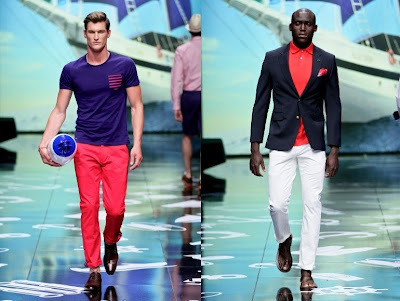 A maritime palette was used which included royal Azzuri blue, lightening white, crushed raspberry, ocean aqua and neutral tones. 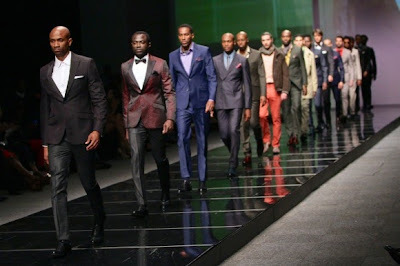 The models were styled to perfection and rocked slim fit chino’s, tailored blazers, suits, tuxedos and denim. Double compact poplin shirts took centre stage in plain and bright colours, ginghams, florals and subtle patterns, all expertly finished with Fabiani signature detailing and contrast trims. 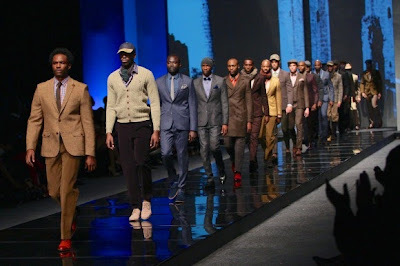 The jackets in italian linens and cotton came in textured stripes and ginghams with striking red and cobalt blue lining. Every guy needs a Fabiani shoe! 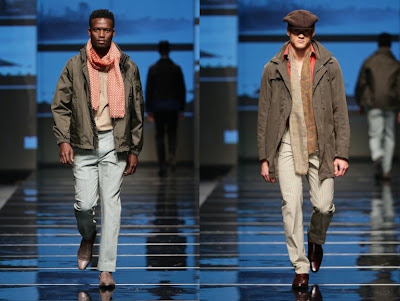 Fabiani shoes are handmade in Italy to the highest standards and styles in the collection include the driving shoe, boat shoe, loafer, brogue and sandal. Fabiani knows how to impress season after season with the garments always being on trend!